These 18kt white gold Forevermark earrings are part of The Center of My Universe collection. 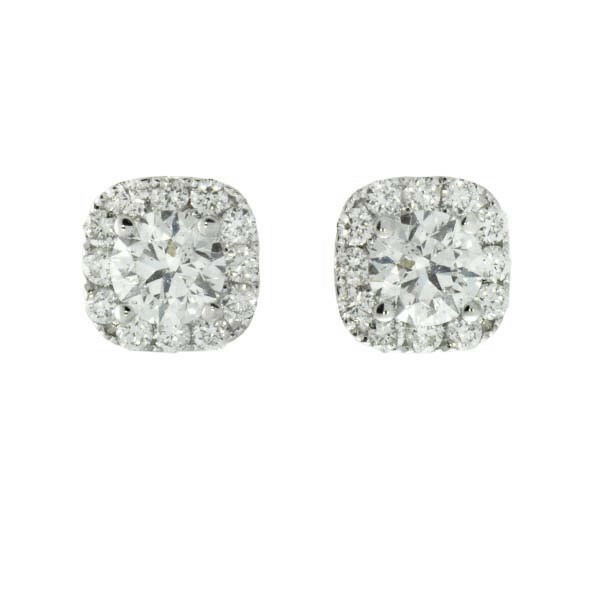 They feature a cushion-cut center stone with diamond halo. Feminine and elegant, these studs are sure to become a wardrobe mainstay. Forevermark makes earrings that will become a keepsake for generations to come.